I used to have many blog updates up until a month ago, when I deleted everything in a fit of rage. I lost my inspiration in life when my Dad passed away and I'm trying ever so hard to get it back. First year at University, doing shockingly well in my grades so far and now I've hit the bottom. 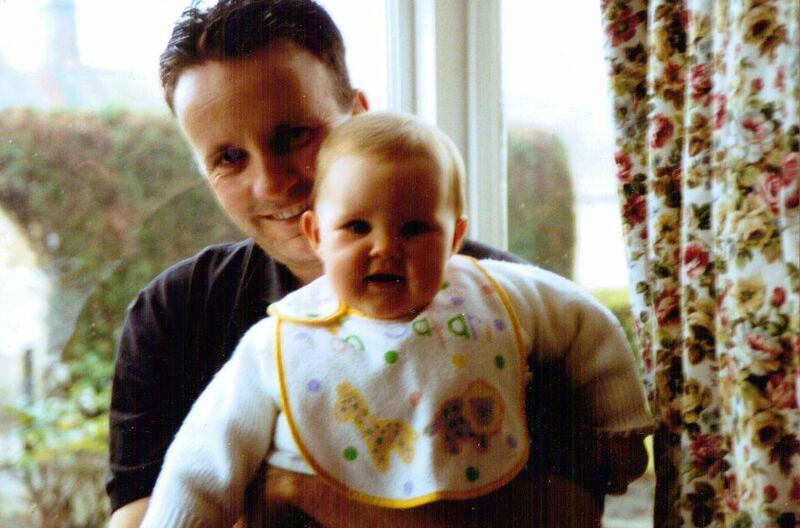 My Dad is my ultimate hero, genuinely the only man on the entire planet that I would have done anything for. I felt as though when he was here, I done everything that I am doing to make him proud. During my 'fit of rage,' I started to think that there wasn't a point to anything without him. I'm starting to realise now that if anything, I should be doing everything in my power to make him even more proud by the fact he would be looking down on me. From now on, I shall pretty much dedicate everything I do, to him, and work so hard by doing my best at all times. This blog was made originally for me to show my costume designs and various other things I have made myself, off to the world. In the hope I can help teach or inspire. My ultimate goal in life is to work within the film industry, make a name for myself, earn money to support the family I intend on having, then I would eventually like to teach what I have learnt at degree level. I believe that some of the most inspirational people I have ever met in my life have been my teachers from my high school and lecturers at college and university. I would love to know that I had at least inspired one person in life. I hope to post images of my work, what's inspired me, what's on my mind. Keeping my projects up and running and getting excited about new ones. Deep down I'm gutted I deleted so many posts, just going to put everything back up again! I leave you now with a quote from a song by Alter bridge that I refer to as my Dad's song. I now live by these lyrics.